The most famous recipe with sundakkai is bajji(sabji). 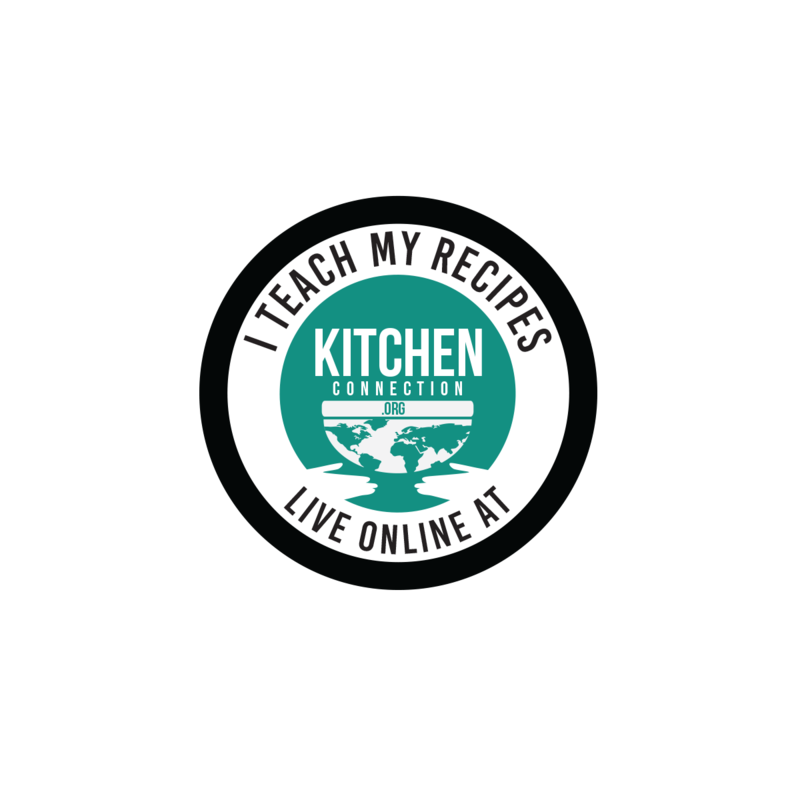 In villages, since turkey berry is abundant, there are many more equally good recipes. Turkey berry is one of them. This goes very well with Rice, Chapathi, Idli and Dosa also. 1. Heat 2 tsp of oil in a pan. Add cumin seeds and wait for popping. Then add peppercorns fry for a min. 2. 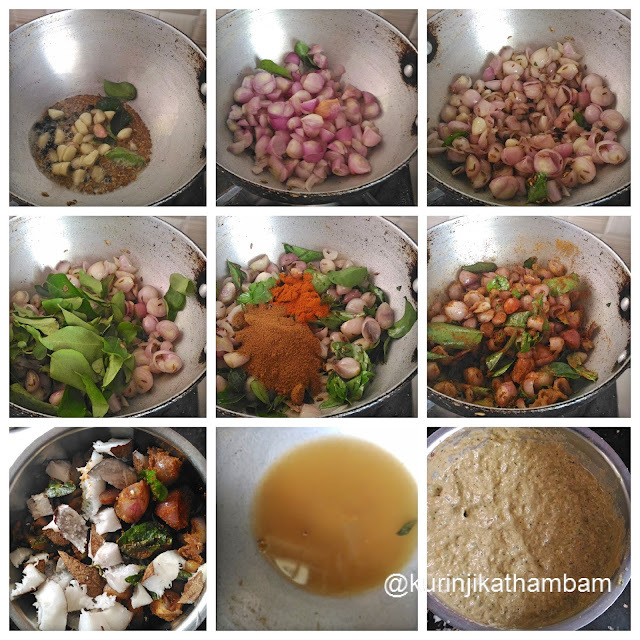 Add chopped garlic pods and fry till nice aroma comes out. 3. Add chopped onion and sauté till they become translucent. 4. 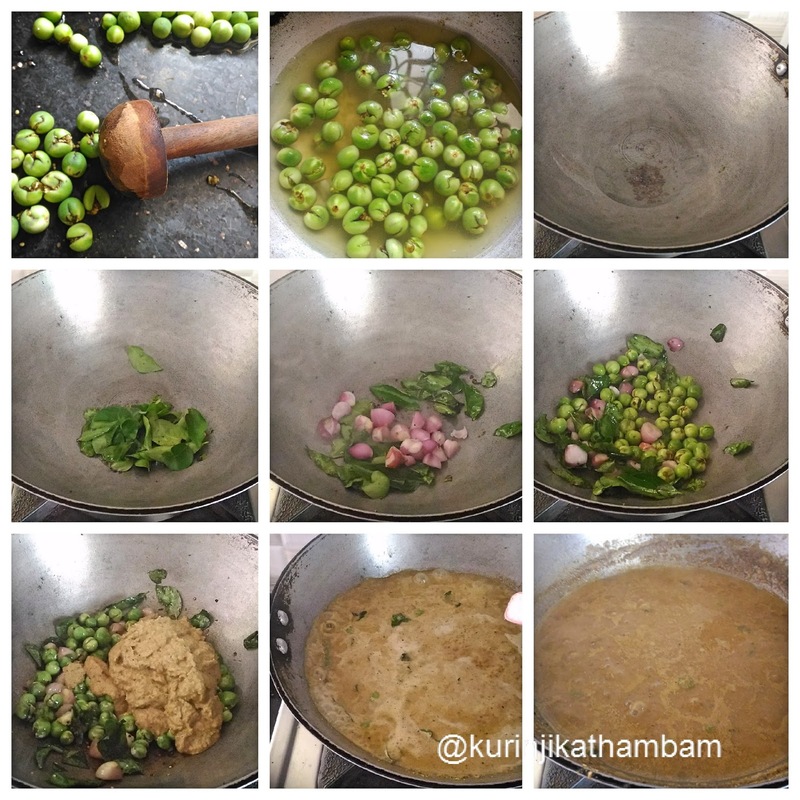 Now add curry leaves and sauté for few seconds. 5. Add red chilli powder and coriander powder. Mix them well and fry till the nice aroma comes out. Switch off the flame and allow it to cool down completely. 6. Add grated coconut with the above mixture and grind them into a fine paste using the mixie with little water. Keep it aside. 7. 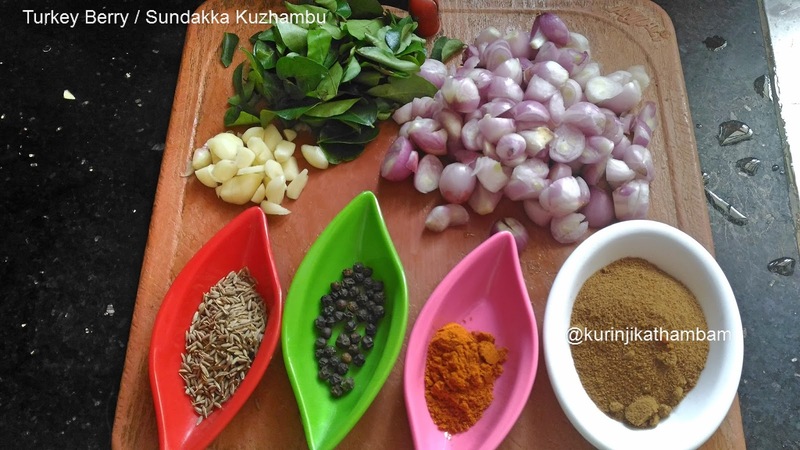 Crush the turkey berries with backside of the ladle or hand blender (paruppu maththu). Immediately put them into the water to avoid the color change. 8. Heat 1 tsp of oil in a pan, add mustard seeds and wait for popping. Then add curry leaves and sauté till they crisp. 9. Then add the chopped onion and fry till the onion becomes translucent. 10. Now add crushed turkey berry (from 7) without water and sauté till they become tender. 11. Now add the ground paste (from 6), enough water and salt. Mix them well. Close the lid of the pan and cook for 7-10 mins. 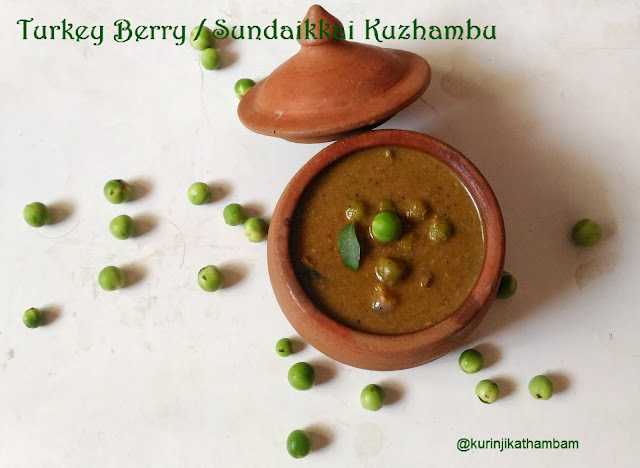 Yummy and tasty turkey berry kuzhambu is ready!